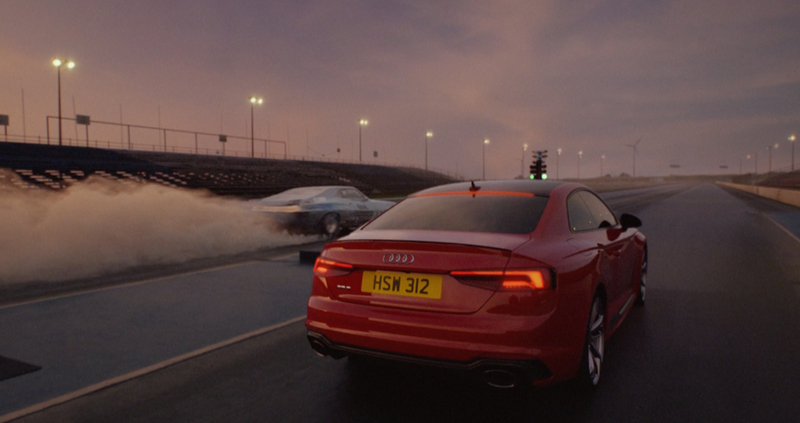 Working alongside BBH, The Mill have helped create this short but beautiful spot for Audi’s new RS5 model. In just thirty seconds, viewers learn the art of the new model lies in more than just its speed, but in its beauty too. Using the simple statement of ‘Nothing To Prove’, the car cruises down the sunset racetrack, whilst the competitive nomad vehicle next to it speeds on in pursuit of race. Mill 2D Lead Artist James Mac comments; ‘This was a great job to be a part of. It was a hugely challenging, creative project that required a significant amount of time in pre-visualisation. We had to work through multiple solutions that, from a technical standpoint, would best suit the directorial approach. 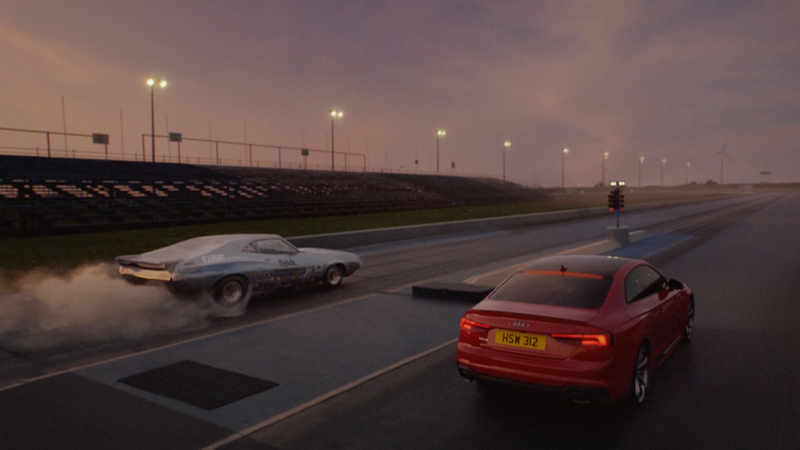 To ensure the shoot ran as smoothly as possible, we built Camera rigs, Camera cars, the Audi RS5 and the track, all to scale and speed in CG prior to the shoot. This enabled everyone to have a firm understanding of the approach before we arrived on set. It also helped iron out any potential issues early on. Having the previs on set, rendered from multiple angles, helped all crew members have a firm understanding of the requirements. Collectively we devised a system for using a towing truck, pulling a 15ft process trailer, able to reach across the entire RS5. The RS5 was also attached to the tow truck, enabling us to have a very precise, repeatable move throughout the commercial. 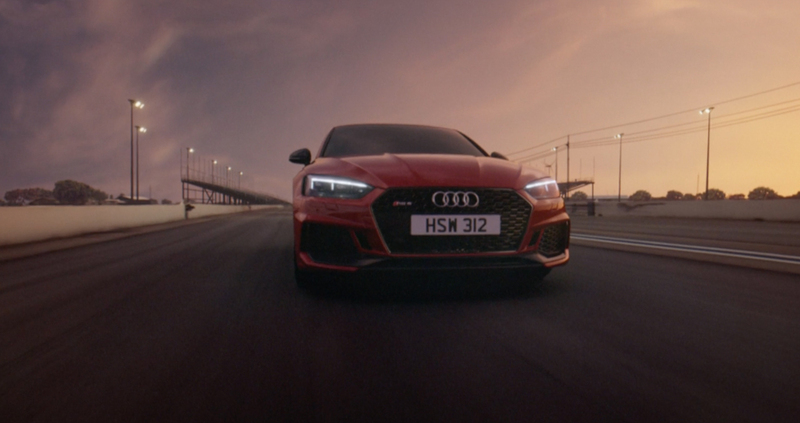 I was extremely fortunate to be onset for this exciting RS5 project, drawing inspiration from the drag race, performance vehicles and environment. Mill 3D Lead Artist Phil Maddock and I both recognised we would need maximum flexibility when back in London to create the polished final product, so set about surveying the entire racing strip, the RS5 and the drag cars. This later proved essential to the work The Mill completed. There were 1500 photos alone, not including the footage from the 2 Alexas and the Witness Cameras we had onset. 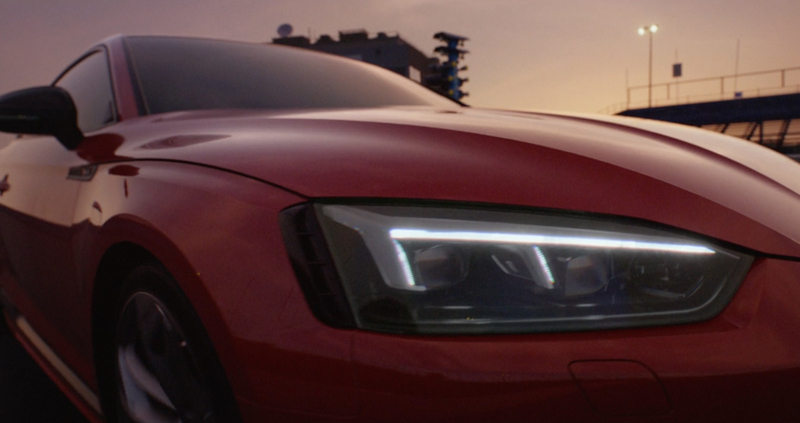 Every frame was created with the intention of making the RS5 look exceptional.